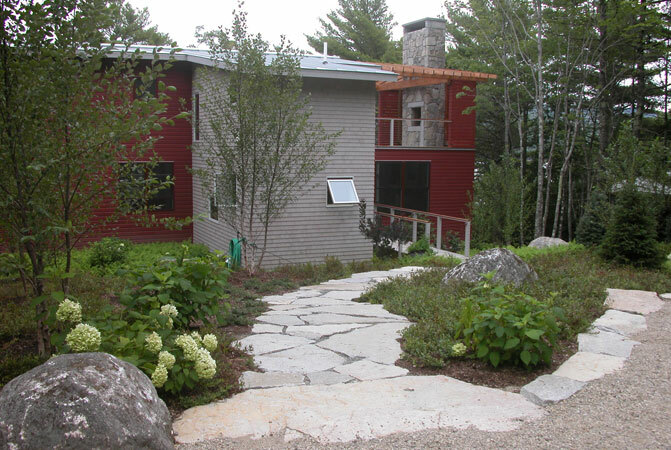 Coplon Associates provided the site design and construction administration services for a new 3,000 SF house overlooking Somes Sound. 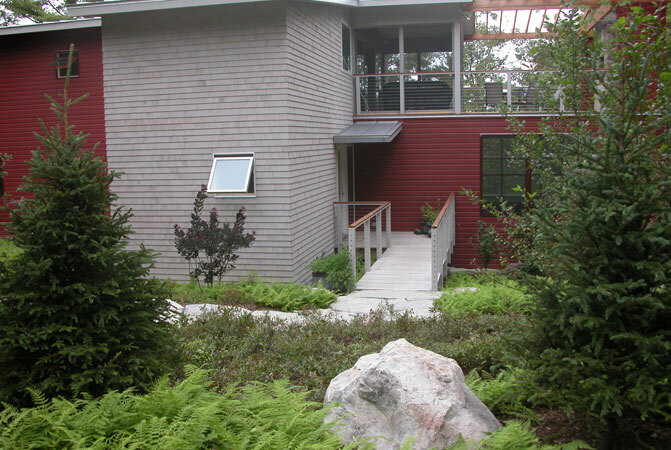 Located in a wooded shorefront setting, the design restored the wooded environment surrounding the house, employing local stone and low maintenance, native plant materials. 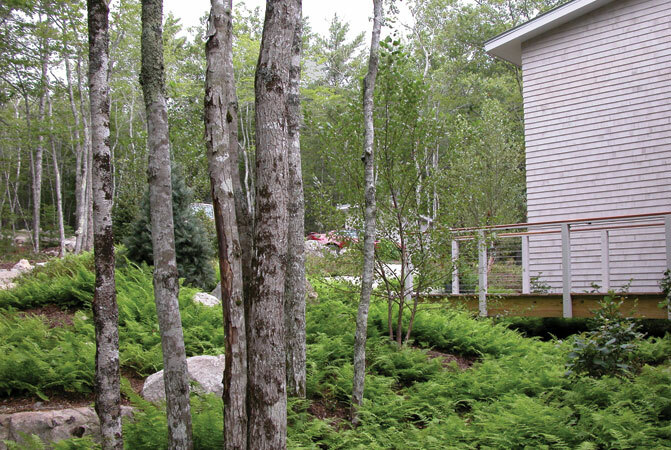 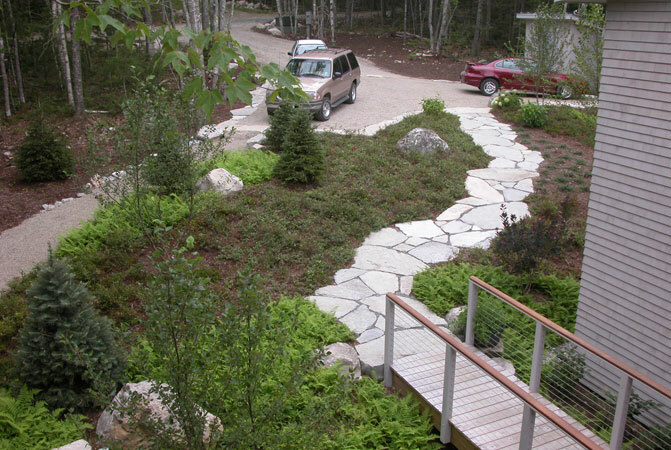 The plan featured a new approach and entry to the house, outdoor activity areas, and shorefront access.